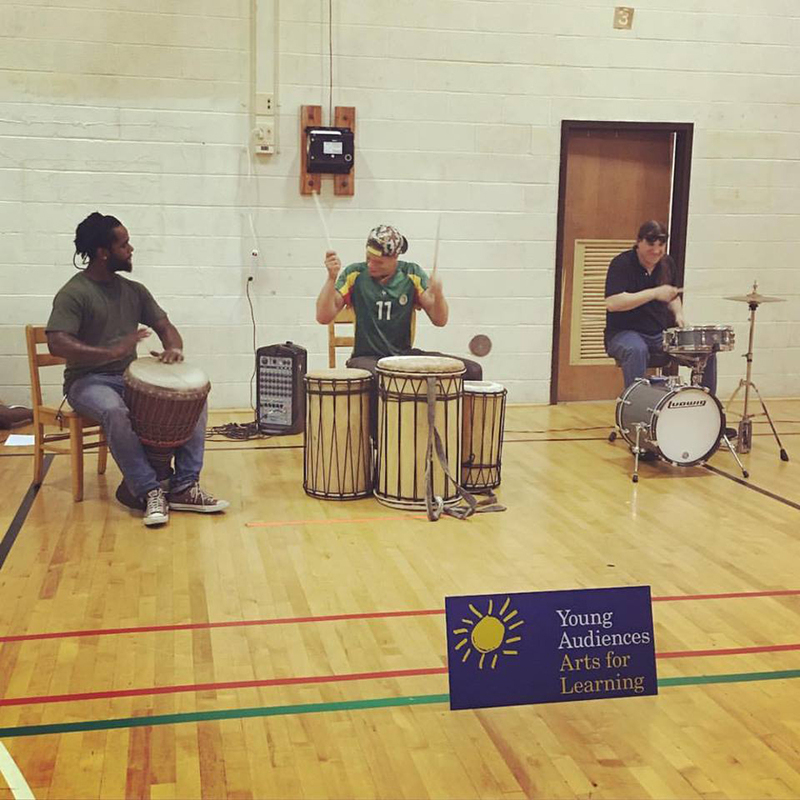 Unique and innovative arts-based strategies are captivating young audiences in Maryland classrooms. 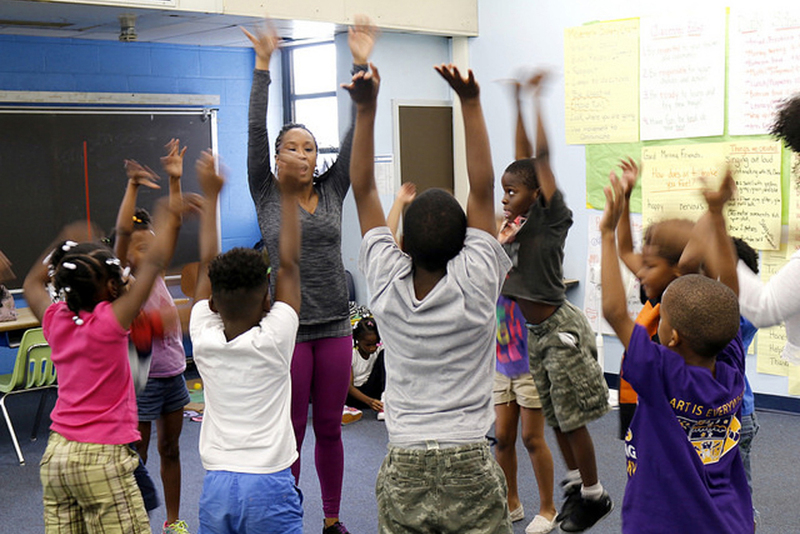 At Margaret Brent Elementary/Middle School in Baltimore City, the very youngest students are excited to connect to literature with actress and master teaching artist Katherine Lyons through movement and theater as part of a Maryland Wolf Trap residency. 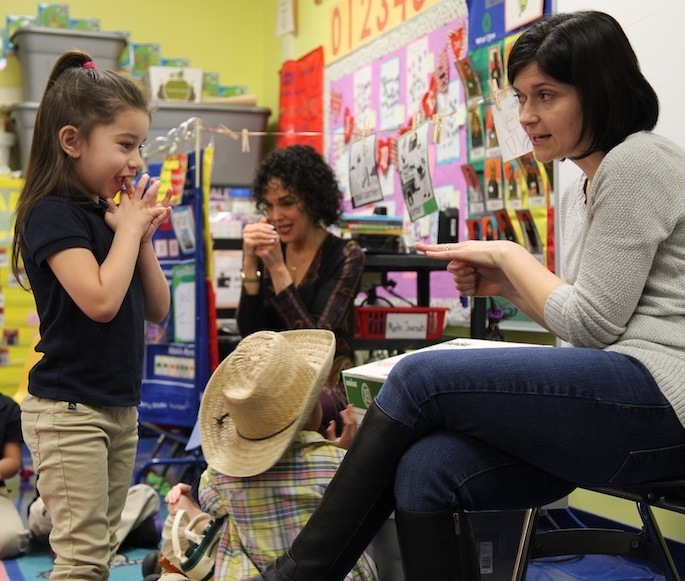 Katherine creates what she describes as “hands-on, multi-sensory story experiences” by having children actively participate in the telling of the story. Physical motions are assigned to important objects and costumes help illustrate characters. To prepare for Katherine’s arrival on this day, Pre-K teacher Mrs. Lee asked her students to draw what they think will happen in the story. They hung one prediction on a clothesline. Now, at the front of the room, between Katherine and Mrs. Lee sits a ‘story box’ filled with clues describing the characters in the story. One by one, a student pulls from the box a tool or an article of clothing, then the class takes turns guessing who the clues belong to. Once story time is completed, Katherine and Mrs. Lee begin planning lessons that they will co-teach. 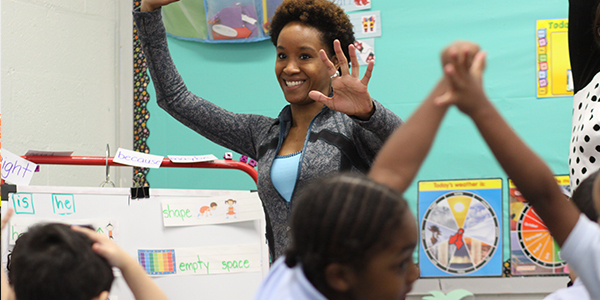 Every Wolf Trap program includes embedded professional development to build teachers’ skills and confidence in arts integration techniques. Teaching artists work with classroom teachers to learn effective ways to engage students in participatory activities that involve all the senses and encourage critical thinking, creativity, communication, and collaboration. This ensures that the arts remain a strong part of the classroom teachers’ lessons long after the residency ends. 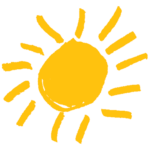 Eighty-five percent of brain development occurs during the first five years of a child’s life. Participation in the arts encourages positive growth in a child’s emotional, physical, intellectual, creative, and social development. 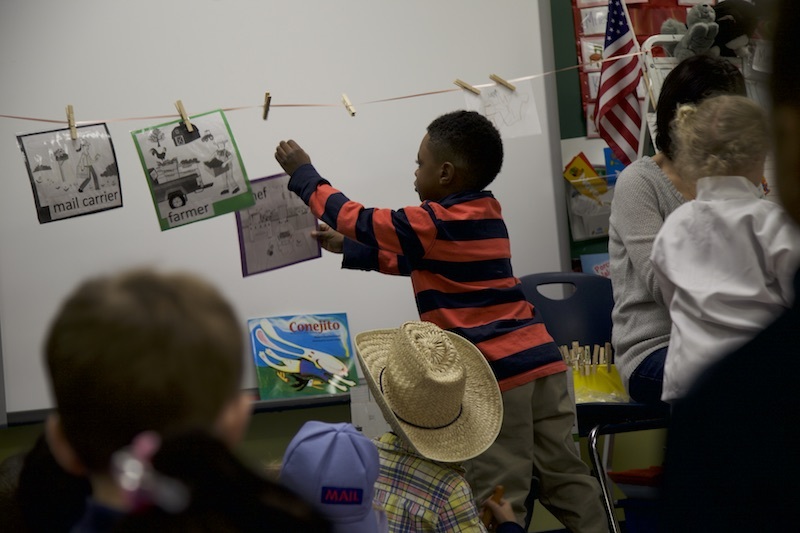 As the Maryland affiliate of the Wolf Trap Institute for Early Learning Through the Arts, Young Audiences expands access to the arts for Maryland’s youngest students during the critical early learning years. 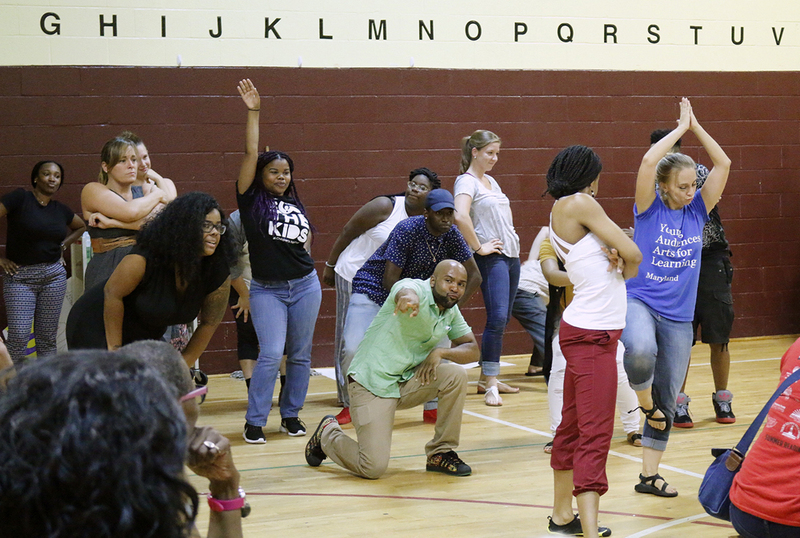 Bring a Maryland Wolf Trap 16-Session Residency into your school. 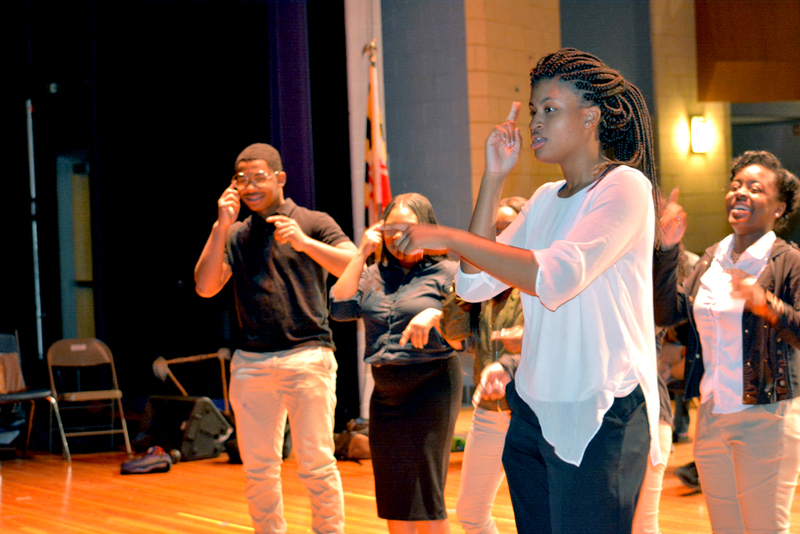 Ssuuna performing a demo for students at Wise High School. Young Audiences teaching artist Ssuuna, a dancer, musician, and storyteller from Uganda, brought his incredible stage presence to Dr. Henry A. Wise, Jr. High School recently. 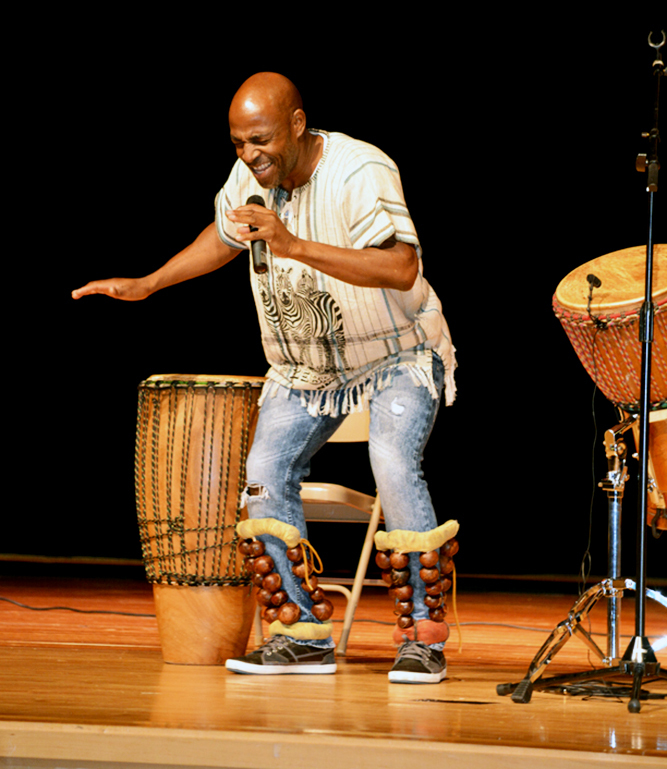 There, he taught over 100 high school students African dance and drumming using the same focused energy and passion he delivers on stage. What struck the teachers in attendance, however, was how well Ssuuna guided his students in building a community and how expertly he handled distractions in the classroom, even with pointed interruptions. It is so important for students to be understanding, especially at this age, rather than making others feel like they don’t fit in. 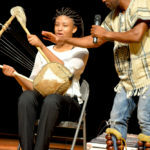 Ssuuna delights and educates audiences from East Africa, Maryland, Virginia, and Washington, D.C. He has performed at The World Bank, The Kennedy Center, the Smithsonian, and on numerous college campuses around the country. 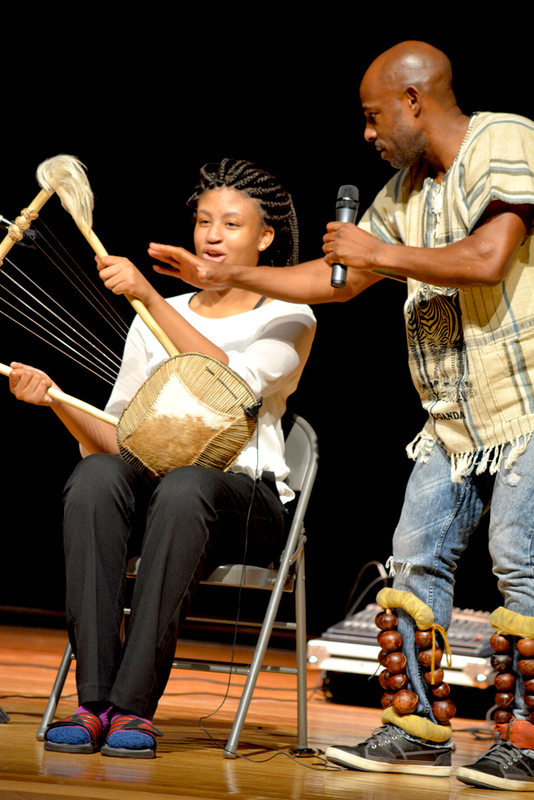 Learn more about Ssuuna’s offerings through Young Audiences. 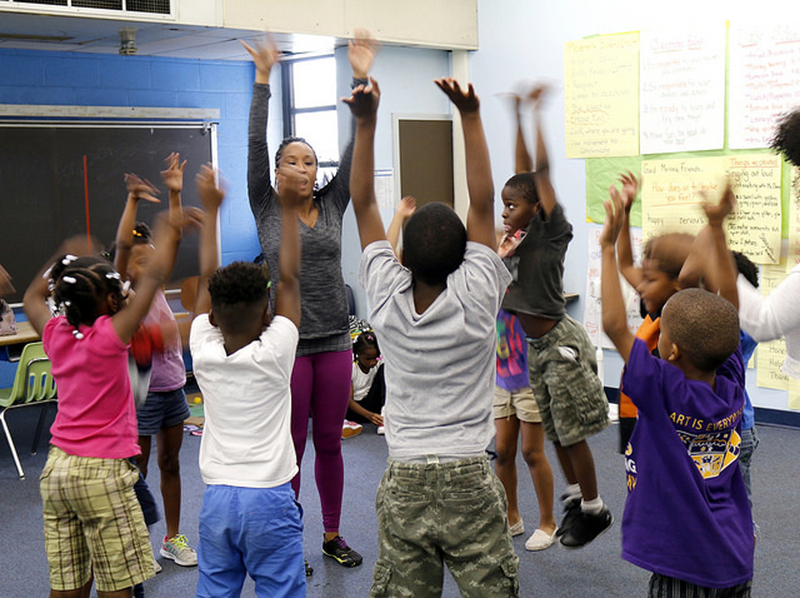 A reflection from Valerie Branch, professional dancer, master teaching artist, and YA roster artist, on the triumphs (and challenges) of teaching Summer Arts and Learning Academy kindergarteners math and literature through dance with her teacher partner, Sara Myers. “If we stay true to our art form, and what we know about our art form, then the students have an active and engaging educational experience where they are learning, processing, and applying information. 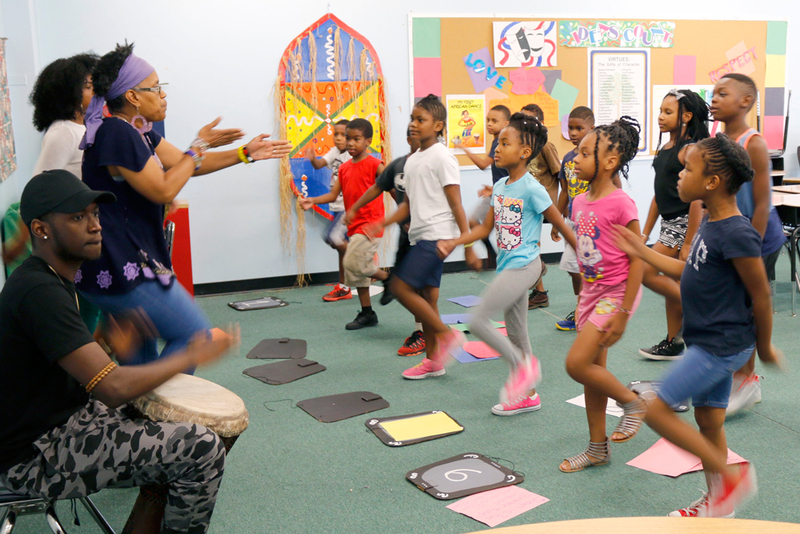 At this year’s Summer Arts and Learning Academy, I was partnered with elementary school teacher, Sara Myers, at William Pinderhughes Elementary/Middle School in West Baltimore. 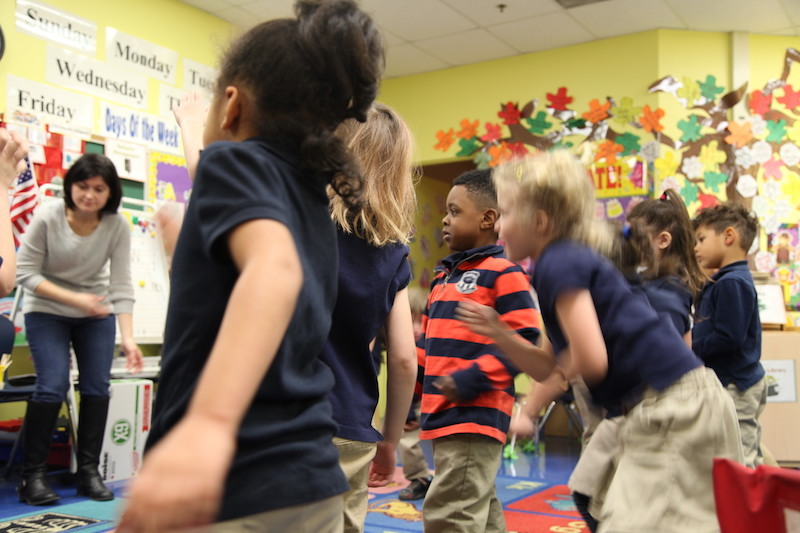 Together, we taught kindergarteners math and literacy through dance and movement. I love working with this age group because it reminds me that we are all multi-sensory learners, it doesn’t just take one mode of teaching/instruction to help students learn. In our arts-integrated math lessons, we created Number Bonds in motion to help the students gain a higher understanding of addition and subtraction. Students were able to break the number apart to figure out what two numbers it would take to create / get to that number; they were also able to put two numbers together and process the final product. It’s a fun and magical thing to watch the brain work and watch the students process and apply information learned. I saw students raise their hands for an answer – give the wrong answer – and not be afraid to use their brains to ultimately find the correct answer. I saw students learn about and apply their knowledge of contrasting words in their physical bodies, and they created dances that were a representation of these words. Working with Ms. Myers was an awesome experience for me as a Teaching Artist. I loved that she always had new fresh ideas, and wasn’t afraid to try new things with our students. It’s so important to trust your teacher partner and build a strong collaborative relationship. If the students sense that you are not able to work together and respect one another, they will continually challenge that relationship. Be open, but also don’t be afraid to give your ideas and to take risks. “When we’re fully engaging with the students, moving throughout the room, using all of our resources and allowing the students to take ownership of their learning — that is when we are having the best time together, and when the students are learning the most. When we’re fully engaging with the students, moving throughout the room, using all of our resources and allowing the students to take ownership of their learning — that is when we are having the best time together, and when the students are learning the most. I appreciated that Ms. Myers was open and willing to have those experiences with us! However, it was important for us to be in tune with the needs of our students, to challenge them to push beyond their comfort zone, but also to know when they simply needed a break. In the afternoon, Academy teaching artists have the opportunity to share their art form with students during artist-led Arts Explorations classes. 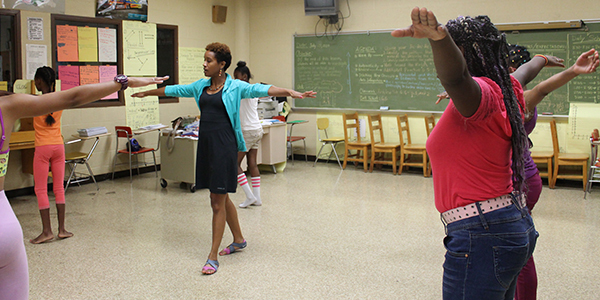 These daily classes gave students the chance to delve deeper into dance and movement. Zoe, a student from my last Arts Exploration class, came to me very shy and almost afraid to shine. I challenged her to push past her comfort zone and be proud of her individuality. There were times during class when she would simply shut down. However, I continued to work with and encourage her, and it was amazing to see her classmates also supporting her. 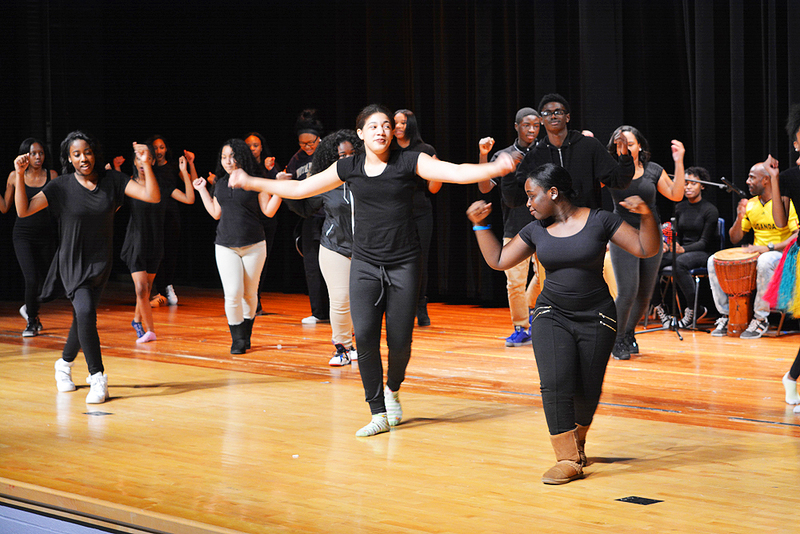 Our ultimate goal in this Arts Exploration class was to create a dance about friendship, a dance we would later perform during a culminating event on the last day of the Academy. 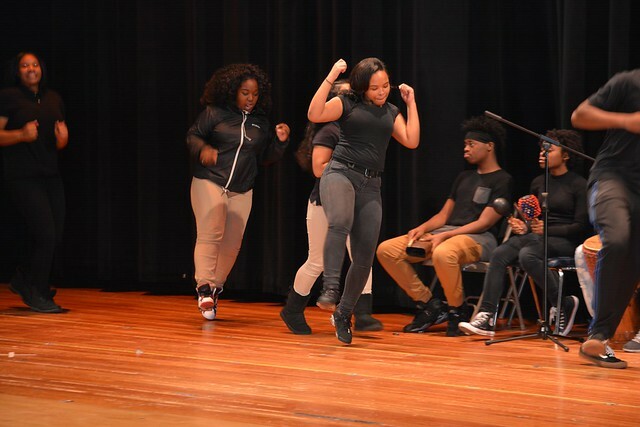 Through perseverance and her ability to trust herself, she was able to obtain a starring role in the dance, working together with another student to create a duet that began the whole dance. As with any live performance, even though you make a plan, you simply do not know what is going to happen on the day of the show. On the day of our culminating performance —and in front of dozens of other students, parents, teachers, and artists — Zoe truly rose to the occasion and was a star performer. 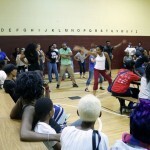 I was so proud of what she was able to accomplish and to see all our young students working together to create dances. They collaborated, engaged in meaningful discussion with one another, and were able to activate their short-term and long-term memory skills to process information and produce work. Every day there was a challenge at the Academy, whether it was too hot in the building, students having a difficult time adjusting, creating an effective lesson structure that engages all students, or making sure that I remained as neutral and open as possible. I think what was remarkable about this whole experience is that we — myself, my teacher partner, and our students — always started each day with a fresh, clean slate. We continually found ways to improve the course of our day and the success of each child. We encouraged our students to continue to rise above the challenges and try their best in all things. It was simply an awesome experience walking into or leaving the building and have students call out to say “Good Morning” or “Goodbye,” and run up to you to give a hug. You know you’ve positively impacted a child simply by the way they engage with you — even if the events of the day brought some challenges. 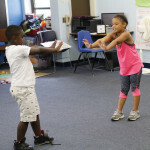 The mission of Young Audiences’ Summer Arts and Learning Academy is to provide Baltimore City Public School students with an opportunity to spend a summer learning from the best teachers and teaching artists in Maryland. 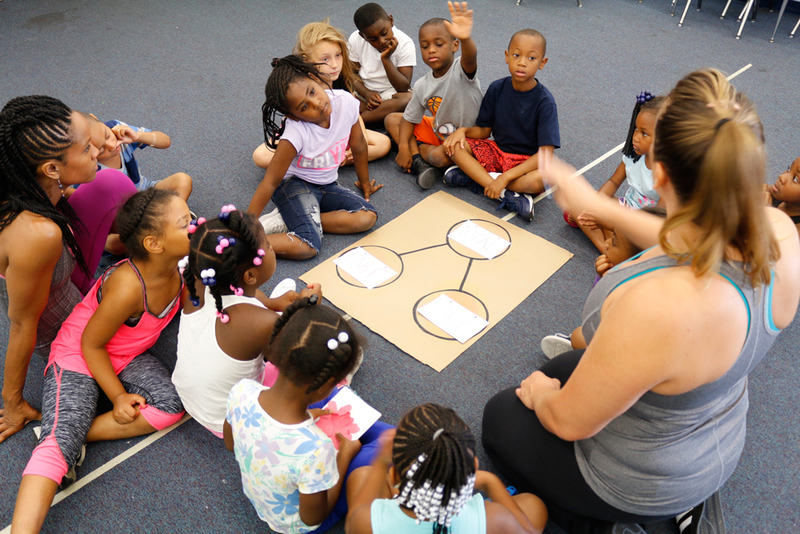 Through a dynamic and supportive environment, students developed an understanding of the creative process and 21st Century Skills with an exploration into arts integration that focused on math and literacy. Students had a fabulous culminating event, showcasing their skills in visual art, songwriting, spoken word poetry, dance, piano, drumming, playwriting, fiber art, and filmmaking. 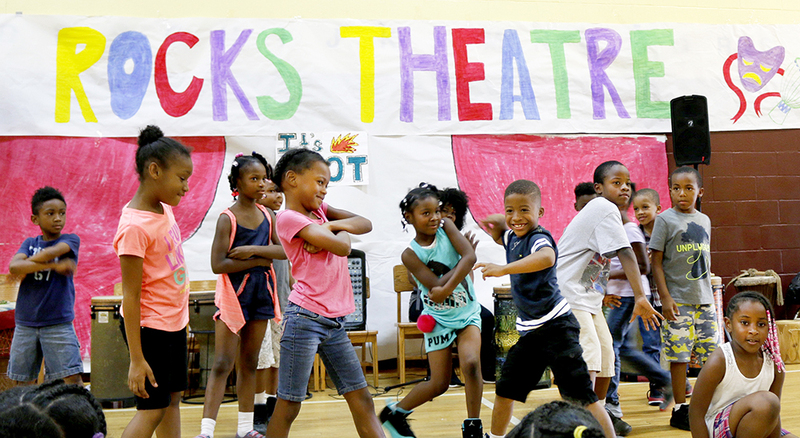 The Academy is funded by Baltimore City Public Schools, The Abell Foundation, The Family League of Baltimore with the support of the Mayor and the City Council of Baltimore, The Alvin and Fanny B. Thalheimer Foundation and individual contributions to Young Audiences. All participants are students at a Title I Baltimore City Public School. I was reminded of my friend Deborah Bedwell, the former executive director of Baltimore Clayworks, this week when I visited my daughter Virginia’s classroom to observe a workshop led by Tori Bertocci of Synetic Theater. Deborah wrote an article back in 2001 called “Measuring Joy,” which detailed her journey of trying to arrive at measurable outcomes in her work while remaining true to the spirit of her organization or, as Deb put it, “not lying” to the funders who were increasingly asking to quantify the impact of Baltimore Clayworks on humanity. Deb decided the best course of action was to come up with a way to measure the joy created by touching clay. 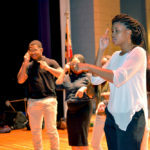 I was new to Maryland and to Young Audiences when I came across this article. “How rebellious!” I thought and I went on my way and on my own journey of trying to establish a connection between our work and academic outcomes. 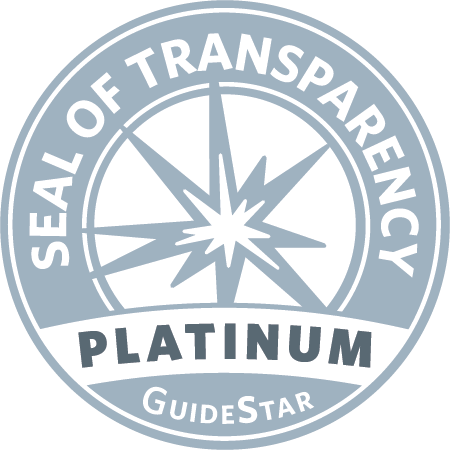 Deb’s evaluation tool and the article that accompanied it, has stuck with me for more than a decade—through No Child Left Behind, the adoption of the Common Core and new standardized assessments and teacher evaluations. When it came time to select a school for my own child, I ignored test results and walked through many school hallways and sat in many classrooms…simply looking for joy. 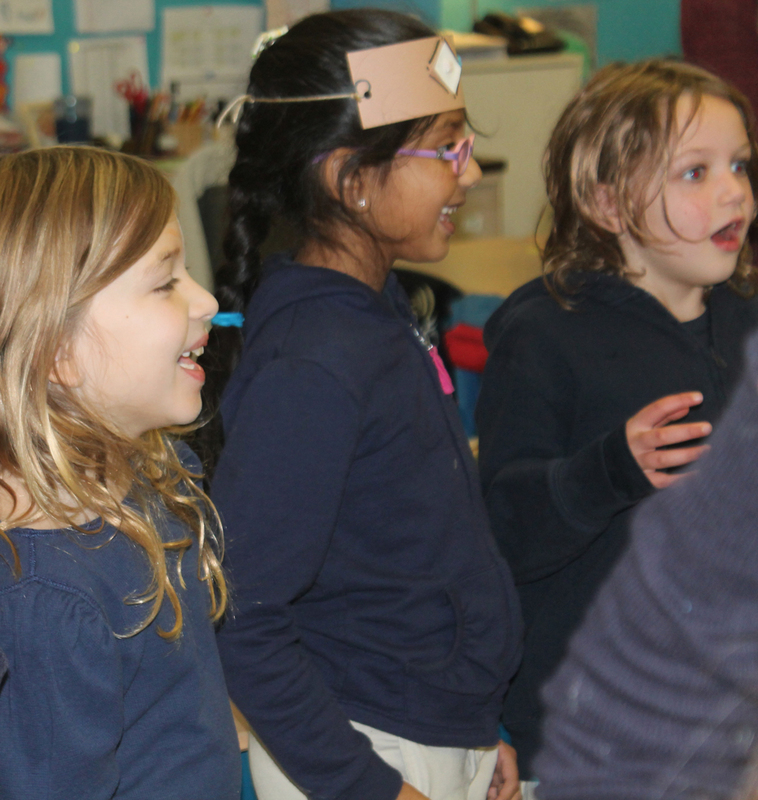 The second graders at Virginia’s school are currently studying fairytales so we thought it would be a good time to bring in the Washington, D.C.-based group Synetic Theater for a classroom workshop. Synetic Theater specializes in physical theater, blending elements of gymnastics, dance, improvisation, mime, and acting. Through teaching the four elements—body, emotion, focus, and imagination—they brought different interpretations of the classic fairytale “Cinderella” to life. “They are SO happy!” Virginia’s teacher said to me. “Even the kids who aren’t happy are happy.” I looked at my daughter’s amazing teacher, and while she is always happy, and beloved by her students and their parents, she was especially happy that morning relishing the joy she saw on her students’ faces. At that moment I wished I had Deb’s observation tool with me because the joy in that classroom was off the charts. While I believe, and research shows, that the arts positively impact student achievement, I understand that part of the secret sauce of learning in or through the arts is the simple joy that it creates. The joy these students experience give teachers and parents that same feeling of joy when witnessing this act, and this in turn creates a joyful learning environment. 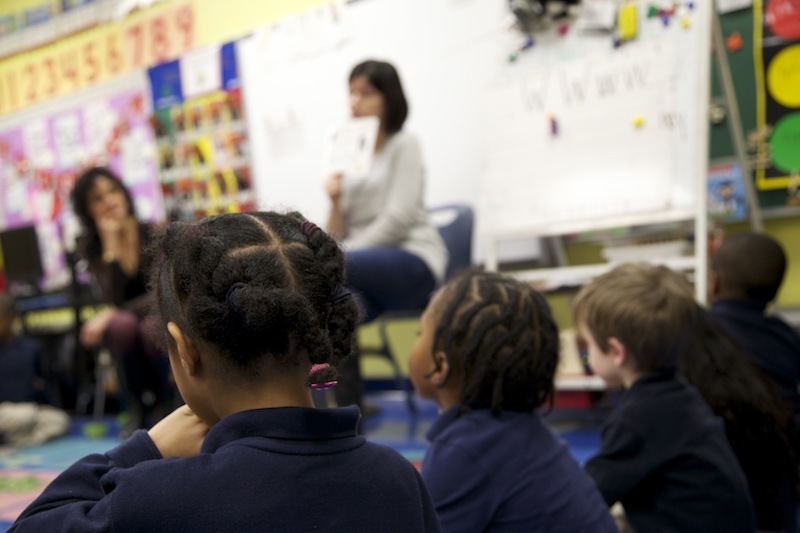 It is in this environment that kids and adults alike are more likely to look beyond any constraints and envision—and act on—something better for themselves and each other. Richard Deasy, the founding director of Arts Education Partnership, has told me many times, “You can’t make a learner learn. It is the decision of the learner.” What Young Audiences teaching artists and teacher partners do is offer approaches in which the student wants to learn. We saw that in Virginia’s class of 26 students who were opting into learning at that moment because of the joy derived from physical theater. Let’s imagine something better for our children in public education –something better but something also very basic — joyful learning environments — where kids, parents, and teachers are eager to engage. YA aims to do this every year through its mission. Won’t you join us in the cause? Empowering youth through my art form is something that I’m very passionate about. 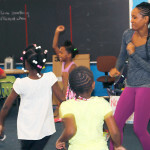 As a dance teaching artist, my role in the classroom is to enhance students’ development in decision-making, communication, and self-confidence through individual and shared movement explorations and experiences. 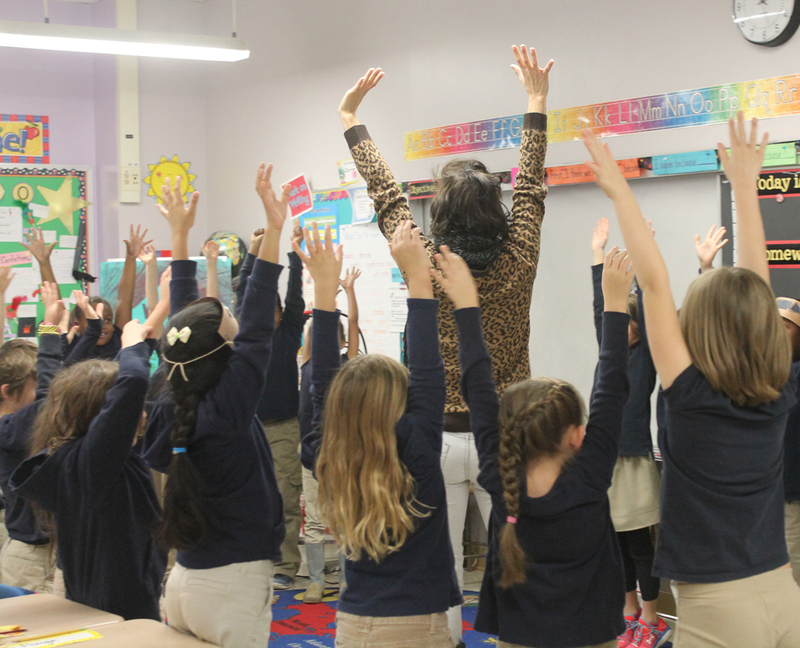 Students learn how to control their impulses and self-manage when it is time to be silly and when it is time to stop and focus. I recently completed a year-long Maryland Wolf Trap residency at Holabird Academy with teacher partner Ms. Katie Fincke and her pre-kindergarten class of students ages three to six. 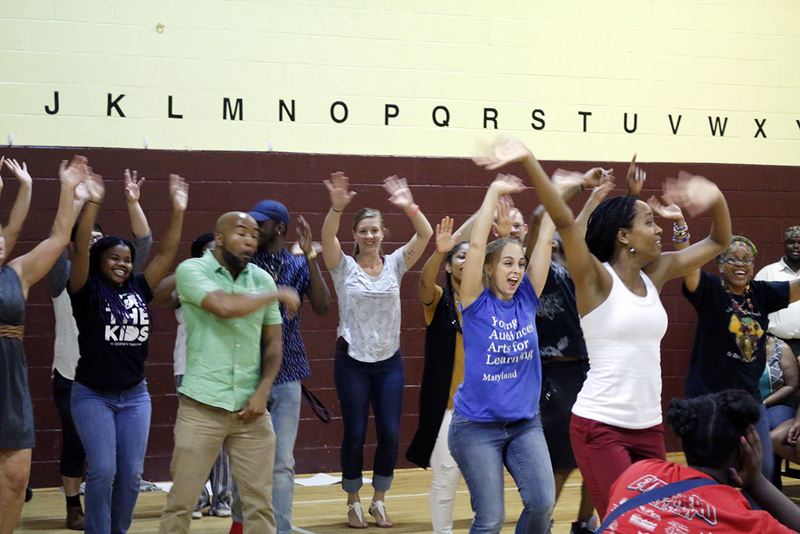 Our residency specialized in Language Arts with a focus on narratives and storytelling, so Ms. Fincke and I found ways to integrate movement experiences into the curriculum. 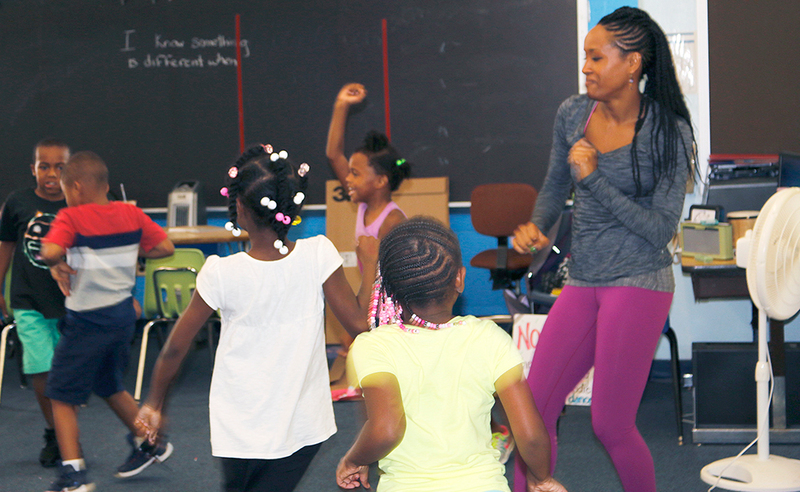 We accomplished our major teaching goal by using the elements of dance to help children convey meaning. We did this through a series of six different books that Ms. Fincke read with her students throughout the year. Ms. Fincke and I guided the children through the process of generating imaginative ideas about how to portray and connect to moments in the story through movement. 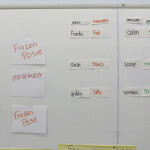 Ms. Fincke’s class had many students whose first language was not English, so our goals uniquely overlapped with language development and vocabulary enhancement. 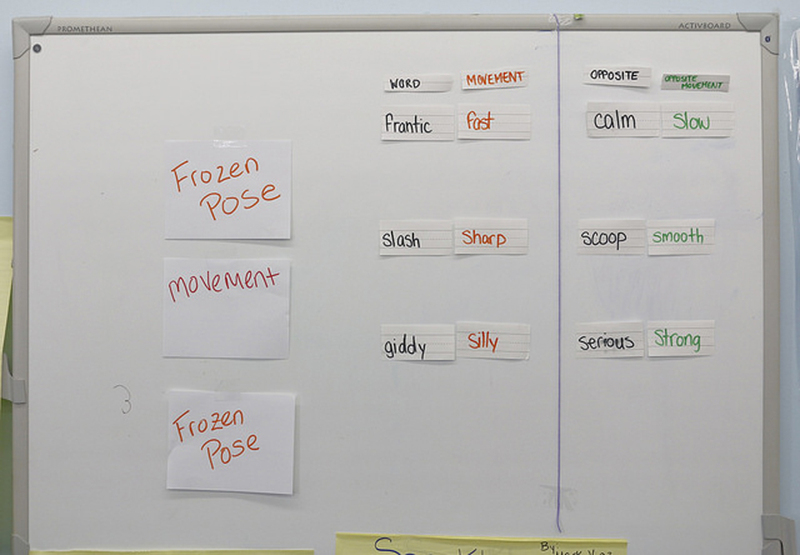 Ms. Fincke and I wanted the children to define and understand the meaning of creative movement. 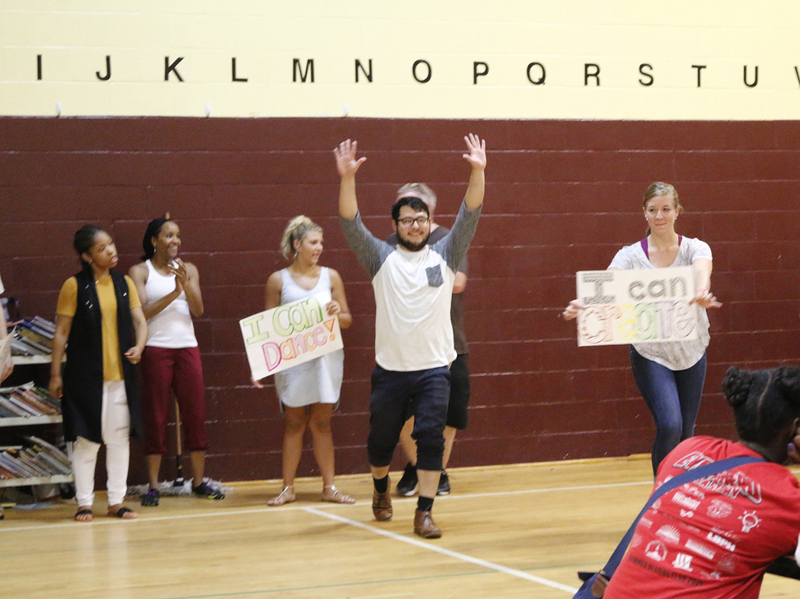 Our dancing activities did not follow the typical routine of me modeling a movement and students mimicking me. It was more about finding a way for me, Ms. Fincke, and the students, to have the experience together. Ms. Fincke and I didn’t want to robotically lead the children by saying, “Arm up, arm up, down, turn, turn!” Instead, it was the children leading us. We would hear, “No, let’s do our arms like this!” or “Let’s move like this! Let’s go here!” Students were given the chance to be creative and collaborate with their teachers and their peers. They were empowered to speak up and share their ideas because dance has no wrong answers. 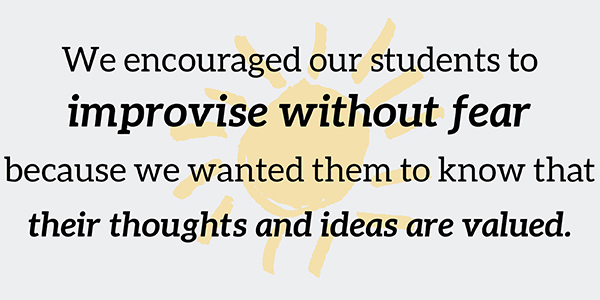 We encouraged our students to improvise without fear because we wanted them to know that their thoughts and ideas were valued. It’s a scary thing to express yourself with your body in front of a crowd. We wanted them to find a comfort level that would allow them to express themselves without limitations. When I first walked into Holabird Academy, many of the students struggled with understanding personal space, body impulses, and self-confidence in creating and sharing ideas. Ms. Fincke and I have seen so many students flourish during the course of our partnership, but one student who made tremendous strides in social development and leadership was Oscar. We have watched Oscar become a leader and set a great example for his peers. He was never afraid to demonstrate his ideas through dance. He encouraged his peers to make strong independent choices. His classmates have been able to take risks and explore their creativity because they saw Oscar doing just that. 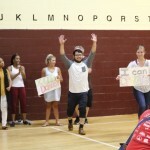 Oscar demonstrated his leadership through an activity called the “mirror game,” which required students to slow down their energy and express themselves through dance in a calm and channeling way. 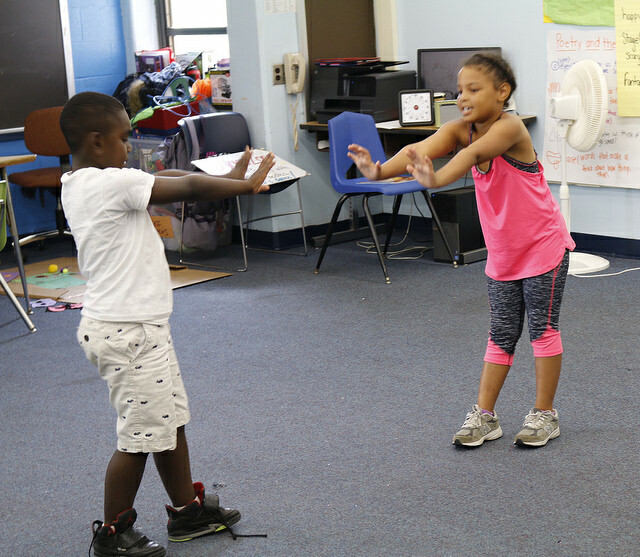 During the mirror game, one student at a time would face the class from the front of the room and then create slow movements with their body. The goal was to get the rest of the class to slowly repeat the leader’s movements as if they were the reflection in a mirror. Oscar really took interest in this activity and whenever he was up at the front of the room, he made sure that his movements were clear for his classmates to follow. Because he took the activity so seriously, there were times when other students would poke fun at him, but he didn’t let it bother him. A great leader is not somebody that forces their own ideas on people, but explores how people can share ideas together. Oscar led this activity with the intention to work with everyone as a team and that trait was very admirable. What I loved most about working with this group was that I was not only able to teach them, but they were always teaching me. During the first few sessions, we would sing a greeting song in English, but by the third class, I had introduced the song in Spanish, a language I knew most of Ms. Fincke’s class was familiar with. Suddenly, the looks on their faces changed and they realized they knew the words. The kids lit up with excitement when they felt that sense of home and comfort in the classroom. Ms. Fincke and I always took time for the Spanish language and that was important to her students. It was also crucial for Ms. Fincke to take time to do translations and have the kids work together through their language differences. It was important that we did not tell them to always speak English. Yes, we were in an environment where English was the primary language, but we also wanted them to hold strong to their heritage. Seeing them take ownership of their language was inspiring. We often let them sing and dance in Spanish and those were truly their moments to shine and demonstrate how far they were excelling in the knowledge and understanding of the skills we were sharing with them. It’s been amazing to watch these students grow, interact with one another, and also feel better about themselves. It’s important to get them thinking about these things at an earlier age because I think that we often forget that children can have problems and stresses, too. We think that they don’t have any issues because they’re young, but our youth go through so much. They are witnesses to everything. They may be young, but they are just as much a part of our world as we are. 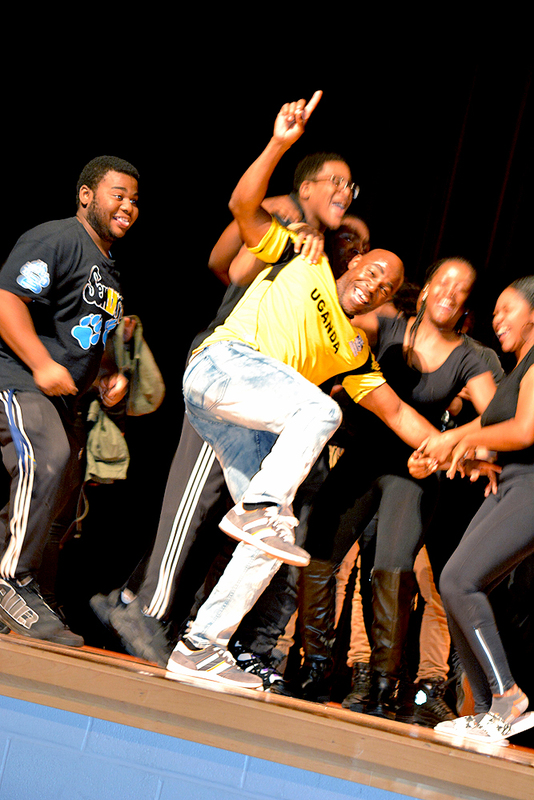 Using dance and movement to build our youth into better citizens is something that empowers me as an artist. 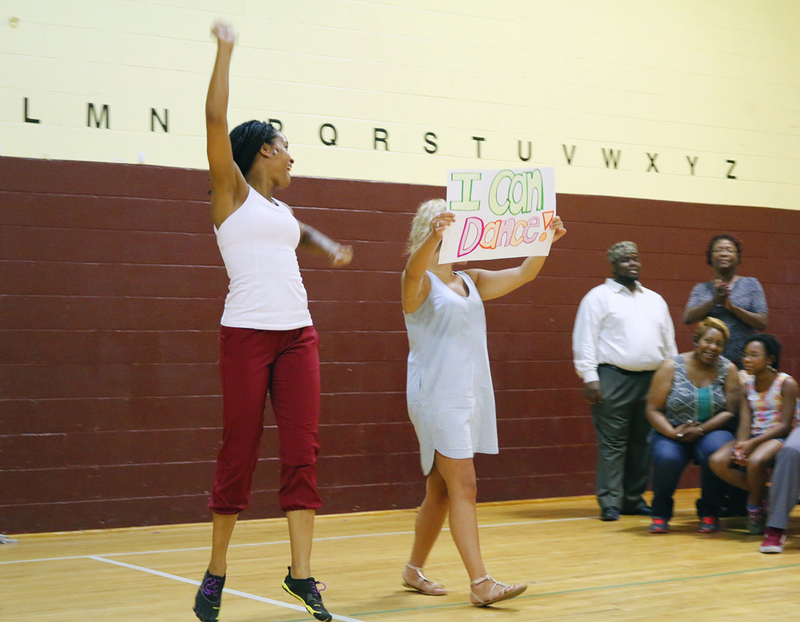 Learn more about Valerie Branch and her dance programs for schools. 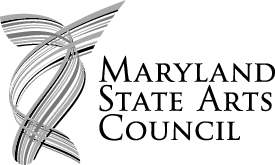 Learn more about Maryland Wolf Trap. During the last two years, our roster has grown in size to encompass new artists, ensembles, and art forms. From slam poets to improvisers to Capoeira masters, these new artists are undeniably unique. To introduce audiences to our new artists, we’ll be posting interviews with those who recently joined our roster, giving them a chance to share more about themselves and their experiences with Young Audiences so far. I graduated from University of Maryland College Park (UMCP) with a Bachelor of Arts degree in Dance. Since graduation, I have been at the forefront and background of different dance organizations and have traveled around the world as a result of my passion for dance. The first company I danced with was Lesole’s Dance Project, a traditional South African dance company where I was able to hone in on my leadership, creativity, organizational skills, and learn and appreciate a new form of dance. I served as rehearsal director, administrative and fundraising support staff and learned how to make a dance company successful. The Director and I worked together to create and organize an edu-dance program for young students in South Africa, which we were successful in implementing two years in a row. In 2011, I was invited to Copenhagen, Denmark as a visiting artist to explore the country’s culture and art. 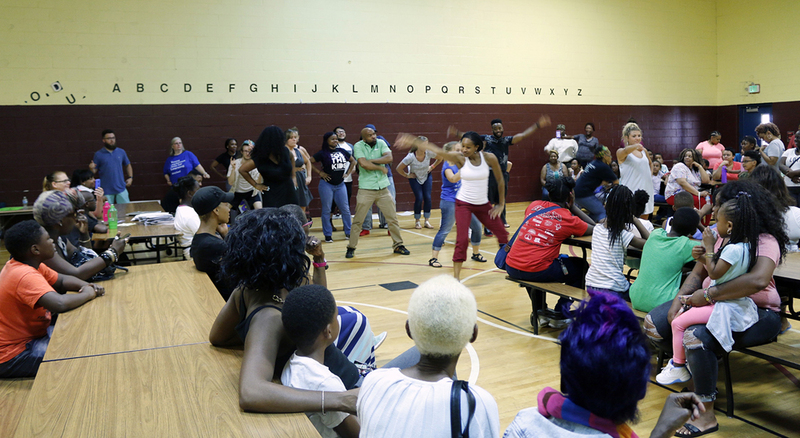 As a result, REVISION dance collaborative (a company in which I co-directed its first season) had the opportunity to perform in and be part of the Kids Euro Festival where we performed in locations throughout Washington, DC. How did you hear about Young Audiences? 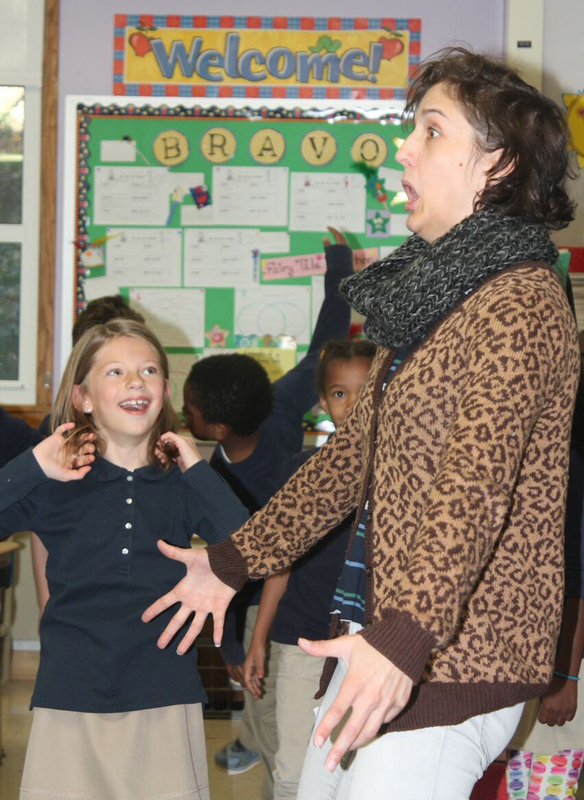 I heard about Young Audiences through Laura Schandelmeir, who had partnered with Young Audiences through the Maryland Wolf Trap program as a teaching artist. Laura was one of my professors at UMCP and is a wonderful dance educator, and someone whom I have had the opportunity to be inspired by. 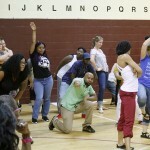 You recently completed the Teaching Artist Institute (TAI) Seminar this spring. What was your favorite part of the program? How has that experience changed your approach to a program or your teaching practices? Saying that I loved the TAI program is an understatement. Though I have been working with students within and outside of the classroom for years, I felt that this program truly changed the way I think about and approach my lessons, teachers, and students. I really appreciated Karen Bernstein, the dance facilitator on staff. Karen truly guided and provided me with advice so I could grow. I felt that Karen was the true support that I needed. She gave me feedback when I needed it; let me struggle in order to figure out what I needed to do; and was there when I needed encouragement. So often in programs like this, artists just receive a generalization of arts education/arts integration and then have to figure out: “What should I do with my art form and where do I start?” It was helpful to receive a plethora of examples from different artists. I enjoyed that the staff was fun and made the experience fun. What made you decide to become a YA roster artist? 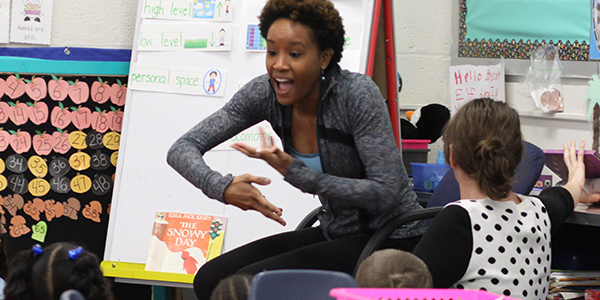 I initially joined Young Audiences as a Maryland Wolf Trap Teaching Artist serving preschool classrooms. In my first year on the Young Audiences roster, my opportunities have grown tremendously to reach older students and I am appreciative of that. Being part of the Young Audiences organization, I truly feel like I am growing and developing as an artist–where I am right now in my career is exactly where I want to be. Taking this journey has allowed me to focus on my career, taking everything that I have learned and witnessed throughout the early stages in my career, and create something new. Have you had any programs through YA yet? If yes, what was the most memorable part? If no, what are you most looking forward to? I love teaching within the classroom and working with the teacher and the students to explore learning and understanding subject matter through movement. I am really looking forward to assemblies! Why do you believe art is important for every student to have access to? Children need to be allowed to think creatively and develop their own opinions. They need to develop their critical thinking skills at an early stage so that they have a clear understanding of why they think the way they do and why they feel a certain way about different situations. They have to develop their own understanding of how to accomplish tasks. The arts provide a creative outlet by allowing them to explore, imagine, and test new ideas. The arts target a different area of their brain, and once students have this experience it opens them to new possibilities. It allows them to take risks in the classroom that they may have been shy to before an arts experience. The arts help to develop self-confidence. What does your art form in particular teach students? Self-confidence, patience, respect for self and others, and focus. It also gives them an understanding of their own bodies–they find out new and exciting things that their limbs can explore, plus they learn their own limitations and to appreciate what others can do. 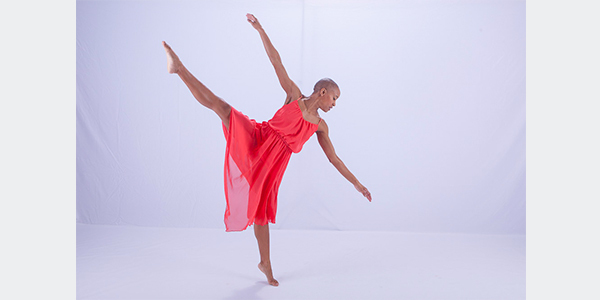 Learn more about Valerie Branch Dance Ensemble’s offerings through Young Audiences. Keep an eye out for more interviews featuring our newest roster artists! See past new artist interviews here. When I first heard that an artist-in-residence program was coming to my school, William S. Baer, I was excited. I learned about arts integration while I was studying education in college and wanted to find a way to use the arts in my teaching, especially when I decided I wanted to teach special education. I feel that the arts are an amazing pathway, particularly for kids who might not necessarily understand the material when taught in a more traditional way. When I found out that this opportunity was being offered at my school, I was thrilled; I jumped at the opportunity. As a relatively new teacher, I knew I wanted to integrate the arts into the curriculum in some way, I just didn’t know how. Our curriculum is structure- and task analysis-based and there did not seem to be a lot of room for the arts, but Sue Trainor, the Wolf Trap-trained artist who I worked with during the 16-session residency, taught me how to make arts integration work for our program and how it could help our students. The program began with Sue showing me her lesson plan, which we used for our first session with students. We continued to use Sue’s plans for a few weeks. After every lesson we talked about how it went–what the high point was and what we could work on for the next session. As the program went on, it developed and changed so that I was giving more feedback and Sue was asking me more questions. I began to take more of the lead, and I grew from a consultant role on lesson plans, to writing the lesson plans with Sue, to creating the whole lesson myself. This was a great way for me to learn because I got to watch Sue, I collaborated, and then it was all me. Sue taught me a lot of arts integration techniques that I continue to use every day in my teaching. We incorporate music and visual representation throughout the day which makes for more engaging activities. We sing through transitions and when we’re teaching new material, such as shapes, letters, colors, and numbers. One thing Sue and I collaborated on was the idea of using a mirror with my students. 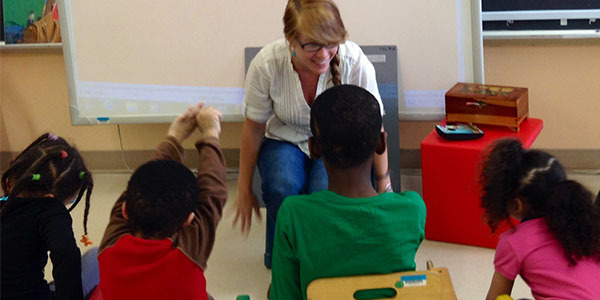 My students are kindergartners with autism. Students with autism often have a skewed perception of themselves and have a hard time making a mind-body connection. 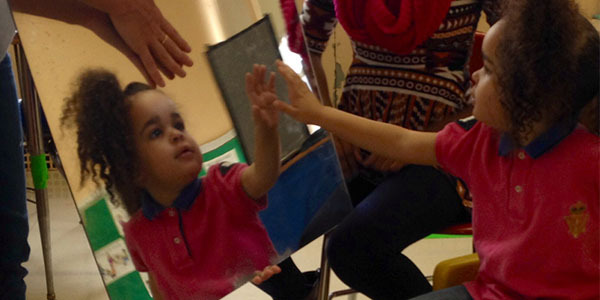 The mirror’s reflection serves as an additional visual for them and provides a form of visual feedback. Rather than me just saying, “Touch your head,” they actually see themselves do that motion and make the connection. Sue also taught me what has become the go-to opening sequence for our classroom. It’s a series of two or three short songs that integrate body movement, beat, and tone. This new practice has had a huge effect on my students, but it had an enormous impact on one student in particular. See a sample arts-integrated lesson plan created by Morgan and Sue here! Brittany was new to our school this year. She had never had a school experience, and she was very quiet and kept to herself. 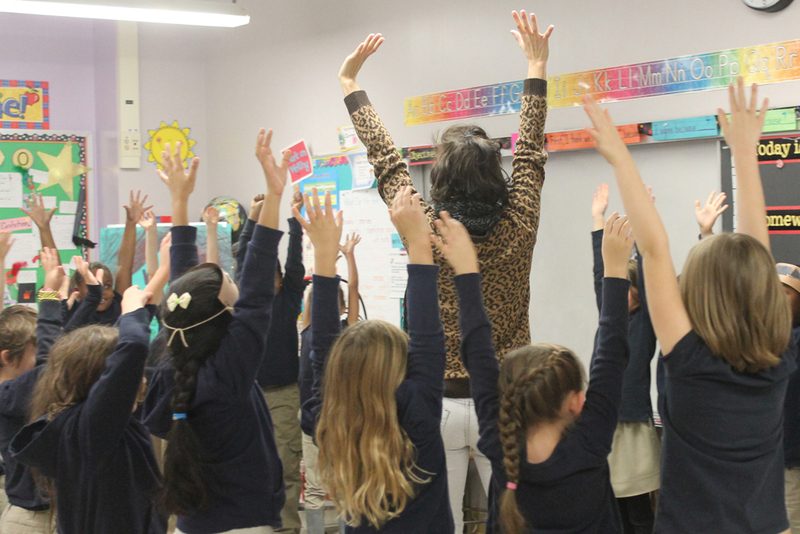 Sue came in and introduced the song and movement sequence to the students, and she asked them to mirror her actions. When Sue told students to “Show me your hand,” students were asked to mirror Sue by raising their hands like she had raised hers. Brittany took to that, and she was soon asking for the song specifically by using sign language, which she had no exposure to before. Brittany was communicating and expressing her desire for the song; she was actively participating and engaging with her eyes. Had Sue not introduced this activity, Brittany may not have engaged with the group for quite some time. She has really benefited from the social lessons Sue brought to our classroom during this program. My hope is that this experience and opportunity is available to as many teachers as possible, regardless of their academic area, because it has helped my classroom beyond words. I’m not only a personal advocate for the arts but an advocate for the arts in special needs programs. We, as teachers, are here for the students, and whatever can benefit the students is what’s most important. My kids are changing in front of my eyes because of what I’ve learned through this residency program. Because I gave it a chance and put in a little extra planning time, I have arts-integrated activities that keep my students engaged and entertained while they are learning. To other teachers: Give it a try and you won’t regret it. This program was provided under a contract with the John F. Kennedy Center for the Performing Arts. 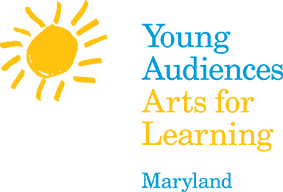 Learn more about Young Audiences early learning programs here.